The Canadian Association of Petroleum Producers argues that Canada urgently needs more pipeline capacity in order to deliver oil to domestic and world markets. They expect oil production to increase 28% by 2030 relative to 2015 and argue pipeline capacity is already nearing its limit. The Energy East pipeline is one of the projects that seeks to expand such capacity and has been deemed as one of the most politically convenient among those proposed. The minister of natural resources has openly backed the project while other political proponents have made claims like “we cannot afford to wait any longer”. In the business community, some have gone as far as to assert it deserves federal government spending. But before taking these claims at face value, however, relevant economic, policy and political elements surrounding the pipeline can be reviewed to obtain a better sense of whether it is actually urgent or necessary. First, let’s review the pricing context. Canadian oilsands are traded at a lower price than other types of crude largely because of their lower quality (making them difficult to refine) and long transportation distance (more expensive to move around). Back in 2011, this price difference was exacerbated due to an unexpected boom in US production – when fracking became a thing. Since Canadian oil has nowhere to go but south, overabundance outpaced pipeline capacity and led to lower prices for oilsands producers. This dynamic underpinned one of the most common arguments on the pro-pipeline camp. Tidewater access, they claimed, would enable Canadian oil to reach international markets and thus fetch a higher price. While logical, this is no longer accurate. Since 2011, several pipelines have come online in the US, thereby alleviating the constraints that caused the drop in prices for oilsands crude. Additionally, the US lifted the crude export ban so that fracking oil no longer has to wrestle oilsands for pipeline capacity – it can be exported. The price discount today is back to its natural level, reflecting oilsands’ lower quality and longer transportation distances. But wouldn’t access to Europe or Asia lead to better prices? Umm, you’d think so, but no. The largest heavy oil refinery hubs in the US are the ones that can buy oilsands crude at the best price for producers since they’re the most efficient at refining it. Canadian producers already have full access to these hubs so access to refineries in Europe or Asia would not lead to better prices. This is consistent with analysis produced by the Department of Finance. On a memo sent to the department’s highest-raking bureaucrat, analysts highlighted that Energy East’s price effect would be marginal, shaving off just $1.48 from the $15(ish) discount per barrel compared to oil shipped by existing pipelines. In addition to price dynamics, we must also consider whether the pipeline is actually needed for transportation. The company behind the project, TransCanada, states that the “firm, long-term contracts” it has acquired prove the pipeline is needed. These contracts, however, were signed in 2013 when oil prices were high and no one expected the colossal drop that would ensue – a drop at one point of more than 70% from June 2014 prices. The contracts are not indicative of the need for the pipeline. Instead, they merely show that the companies that signed them would be in the uncomfortable position of having to pay TransCanada even if production doesn’t make business sense. The National Energy Board (NEB) regularly publishes energy projections that enable us to gauge whether more transportation capacity is needed. Under its low-price scenario – which most accurately reflects current circumstances for the industry – there are two instances in which production exceeds pipeline capacity: immediately preceding the coming on-line of expansion projects in 2019 and then after 2027, when oil prices are expected to rise again. None of these instances would require additional capacity above 500 thousand barrels per day (BPD), which can be easily handled by existing rail capacity. The 1.1 million BPD capacity Energy East would offer is therefore not as urgent as proponents suggest if oil prices follow this projection; it would be superfluous. These findings are also consistent with the Finance memo, which asserted that current oil transportation capacity (pipeline and rail) is sufficient to meet production forecasts until 2025 due to low global oil prices. The NEB holds projections that assume higher prices too. In fact, its most likely scenario sees a faster price recovery and estimates an increase in Canadian production of 56% from 2014 levels by 2040. 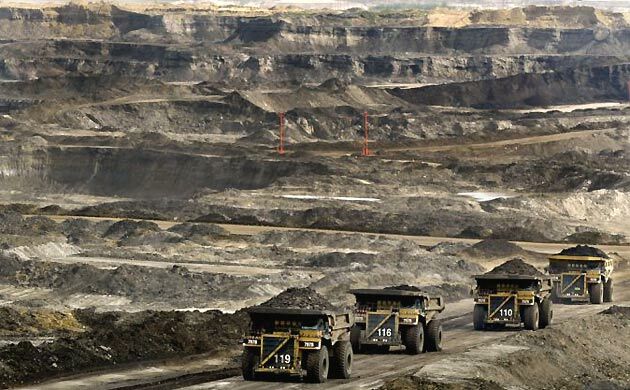 Most of this growth would stem from the near doubling of oilsands production. Let’s remember, however, that the Energy East project doesn’t operate in a climate policy vacuum. Thanks to the election of the NDP government in Alberta, the industry now faces a 100-megatons (Mt) cap on annual oilsands greenhouse gas (GHG) emissions. According to a recent Parkland Institute report, this cap would limit growth in the oilsands to about a quarter from current levels (45%). And while a near doubling of oilsands production would yield more oil than existing infrastructure could accommodate, there is already more than sufficient capacity (pipeline and rail) to handle growth under the new cap. Additional pipelines are therefore not required in Canada to meet oil transportation needs, even if prices are high, unless dramatic reductions in oilsands production emissions can be achieved. Additional constraints arise from federal requirements. The Liberal government committed Canada to reducing GHG emissions to 30 percent below 2005 levels by 2030; a target Environment and Climate Change Canada says we’re en route to going over by 55%. The Parkland Report shows that in a scenario where oilsands production grows by 45%, the oil and gas sector in Canada would similarly take up 45% of allowable emissions by 2030, up from 26% currently – also assuming only one liquefied natural gas facility gets built in BC. If so, the report explains, a 47% emissions reduction in the rest of the economy would be required to meet the target. This raises an interesting political question: if Canada decides, for once, to live up to its international climate commitments, should the oil and gas sector take up nearly half of total emissions allowed? To say the least, it doesn’t sound like a good idea. Broadening the picture at this point is useful. This GIF shows that, globally, we have reached nearly 75% or our 2°C carbon budget – the amount of emissions we can release into the atmosphere before we lock in temperatures higher than 2°C. Worryingly, notice how the budget is consumed faster as time goes by, illustrating our continually rising rate of carbon emissions. Let’s also remember the Paris agreement sets a target of 1.5°C rise in temperature, for which more than 90% of the carbon budget has already been consumed. Add to this the lack of usefulness of Energy East to improve prices for producers, the superfluous nature of the capacity it offers, the significant lock-in it represents in a carbon intensive economy – which is precisely what the Liberal government committed to break away from – as well as the ecological risk posed by pipelines, and it becomes clear that Energy East is simply an unwise idea. ← Feeling A Little Distracted? Try Some Green Space Therapy!